According to Former President Bongbong Marcos, he’ll say be happy and proud to serve in the Cabinet of President Rodrigo Duterte. 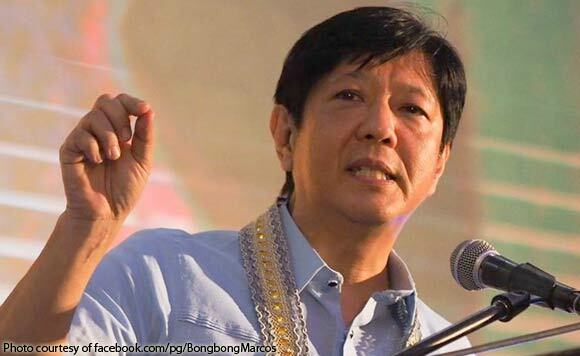 Bongbong said, if President Duterte offered a position to him, he can’t simply say no to a potential offer from the President to serve the country. “You know, you cannot… If a President asks you to serve in whatever capacity, hindi mo naman pwedeng hindian. Siyempre para sa bansa yan,” he said. “Of course, I will be happy, I’ll be proud, and I’ll be honored to serve in any position in the Duterte administration,”he added. However, Bongbong is still covered by the year-long appointment ban, which will lapse next month. “You know, the year-long ban is not yet over so that’s all a little premature, at least in my case,” he said. Marcos has also a pending election protest against Vice President Leni Robredo, saying has a legal team that will study how his poll protest will be affected in the event he does get appointed by the president. “It depends on the position I suppose we leave that to the lawyers to study. Pero ang pagkaalam ko ay it is only during an election you are abandoning your protest,” he said.